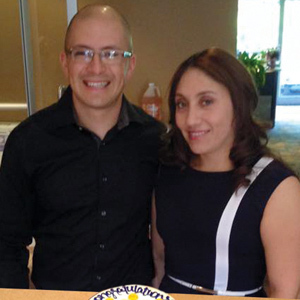 Seeing the success his uncle had with a Jani-King franchise helped Daniel Bustos make his decision to become a franchisee in Greensboro, NC in 2007. Now, it’s Bustos’ own efforts that have earned him the Crown Club title this month. Bustos began with just two employees and now has more than a dozen working for his franchise. He says that being able to manage his own time and getting support from the regional office are great benefits of his growing franchise. No matter how much support Bustos receives from the regional office, he also knows that he must deliver on the service side to keep his business growing. Bustos certainly understands what that includes. Congratulations to Daniel Bustos, this month’s Crown Club Winner for Jani-King!